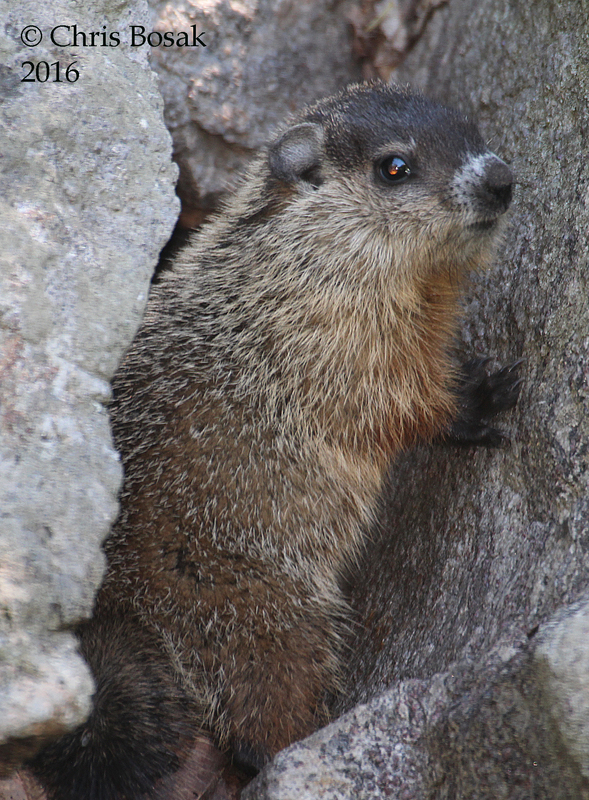 A young groundhog stands between two rocks in Danbury, Conn., 2016. 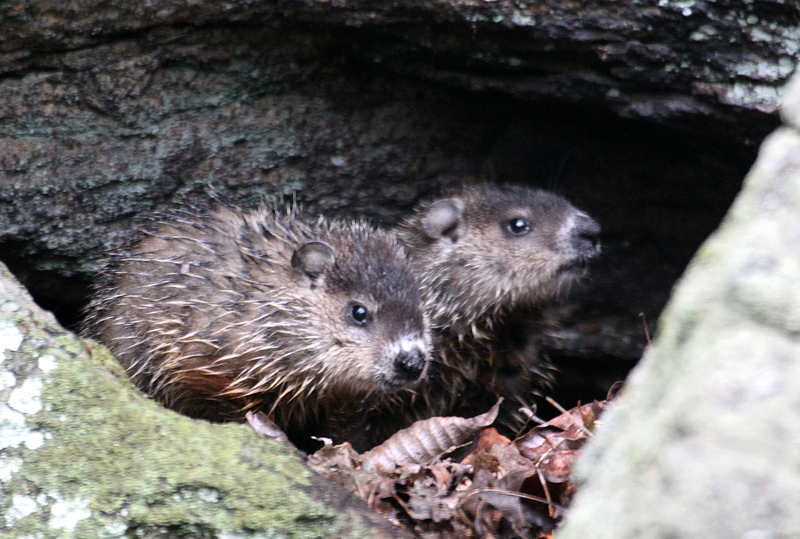 Because we can’t get enough of those young groundhogs — at least until they grow up. Below are some shots of them during a rainfall. 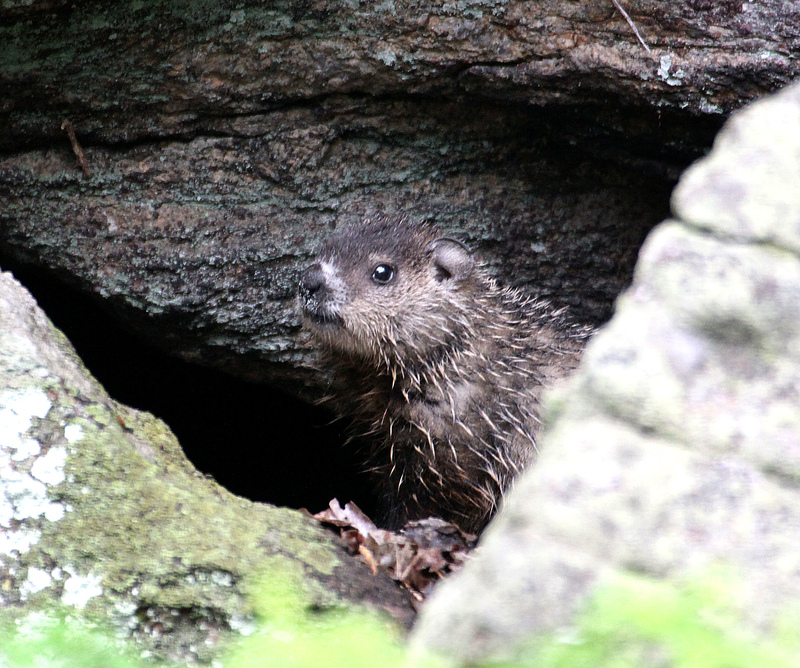 Young groundhogs rest among the rocks, Danbury, Conn., spring 2016. A young groundhog rests among the rocks, Danbury, Conn., spring 2016. 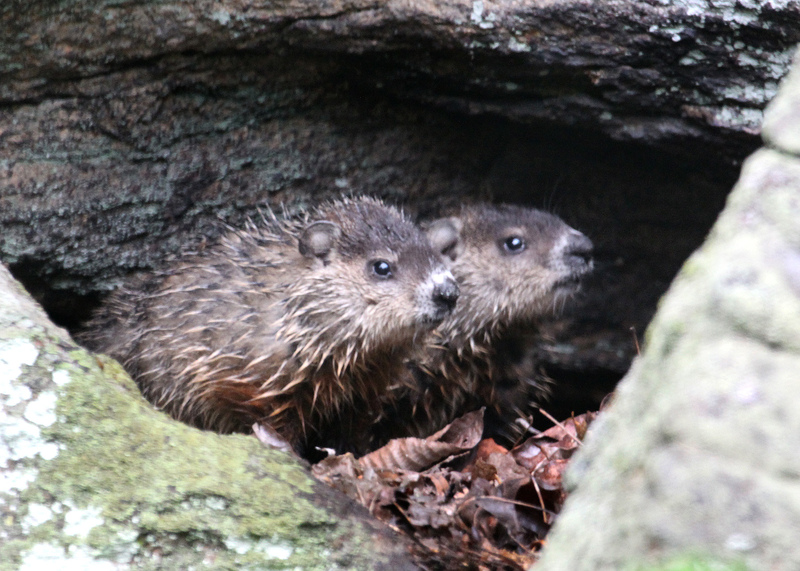 This entry was posted in Random photos and tagged young groundhogs by Chris Bosak. Bookmark the permalink. Great photos Chris!!! Love them. We have been diligently feeding our Gold Finches – all winter-long. Now, we are finding that the doves are hogging the Niger Feeders and our Gold Finches are seeming to be intimated by the bigger, more aggressive behavior of the Mourning Doves. Did you ever hear of Mourning Doves loving the Niger Seed? Of course, we are still actively feeding our regular birds with a “Wild Bird” Food as well as Suet Cakes…..which also has grown out of control. The birds eat one suet cake a day = guess what – we will stop for the summer. God bless them all – but is anyone out there feeding their home flock? Our best always, Chris, love your research and diligence. Hi Mary Ann. Thanks so much for writing. Great to hear from you. I’ve never heard of Mourning Doves appreciating Nyjer seed. It’s also fairly unusual that they would perch on a feeder at all, let alone hog one. I’ve all but stopped feeding for the summer. Occasionally I’ll put some peanuts and a handful of seeds on the platform feeder, but that’s about it. The Blue Jays and RB Woodpeckers come flying in for the peanuts. The chipmunks get most of the seeds. I do still have the hummingbird feeder up. Thanks again for writing Mary Ann.